With the aim to help and inform, Blog is an important way to demonstrate your company's expertise and credibility — and show you care about your consumers beyond just pushing a product or service. But are yours up to snuff? 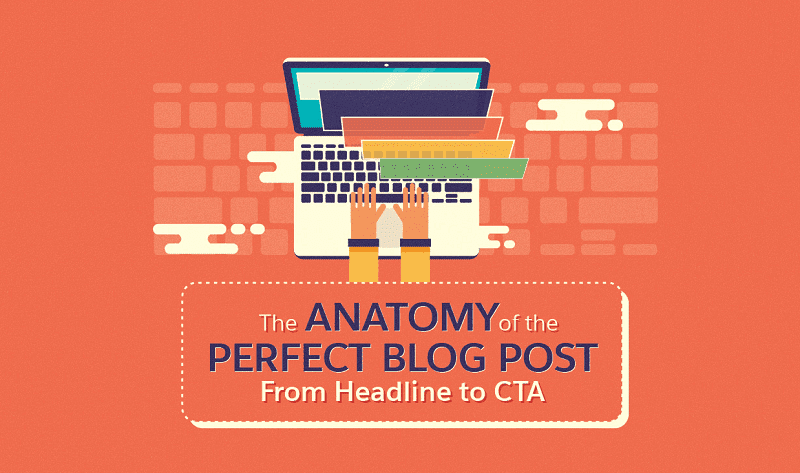 Take a look at this infographic, created by Salesforce, illustrating the key elements that make up a perfect blog post that attracts readers. Write a stand out headline and focus on the first and last three words. Keep your headline (or title tag) around 55 or fewer characters. Did you know that your blog traffic can vary as much as 500 percent based on a headline and that 80 percent of readers never make it past the headline. Use plenty of quality images to demonstrate your point. Did you know that we remember photos 6 time easier than text and that blog posts with more images attracts more backlinks, which is more important for SEO because some search engines give more credit to web pages with a good number of quality backlinks. Posts with share buttons make content 7 times more shareable than content without them. So make it easy for readers to share the post.